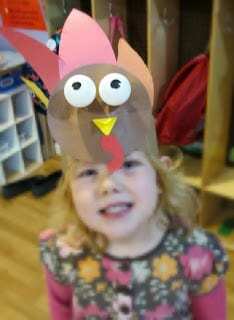 We made these adorable turkey hats in preschool this week. To prepare, we cut brown paper lunch bags in half length wise. Then we opened the bag and cut along the fold, so that it would make a long rectangular headband. 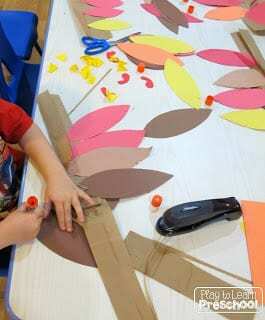 We also prepared brown circles (heads), yellow beaks and red waddles. 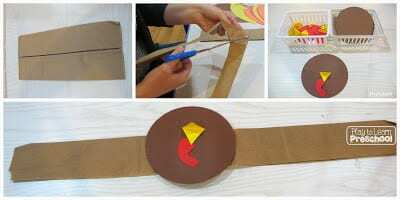 The students glued the pieces together and attached the turkey face to the headband. Then they flipped the band over and glued paper feathers inside the little flap. The teachers hot-glued ping pong balls on for eyes, then used a sharpie to make black pupils. We stapled the bands to fit each child. Although this project falls more on the “Craft” side of Arts & Crafts, the students wore them the entire morning during centers and initiated a lot of turkey dramatic play. 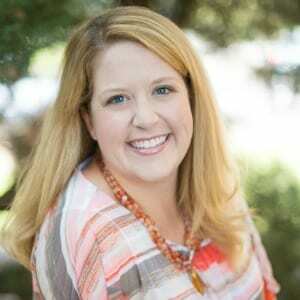 For story time, we read A Turkey for Thanksgiving by Eve Bunting. It’s an adorable tale about Mr. Moose’s quest to find a turkey for Thanksgiving to please Mrs. Moose. When they do find Turkey, he is trembling with fear, only to find out that they want to have him as a guest, and not as a feast. 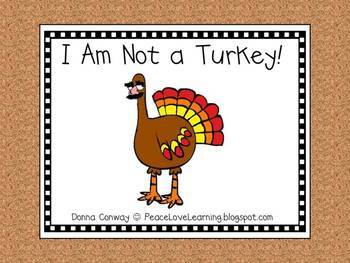 Finally, during our Book Club the Pre-K students (who are working on sight words and developing Concept of Word) read a funny emergent reader called “I am Not a Turkey“. 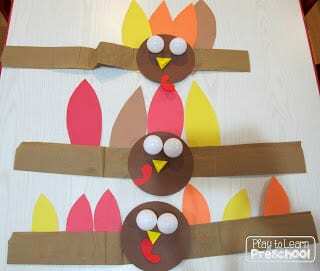 In this story, the turkey dresses up with different disguises (a clown, a fire fighter, a hula dancer, etc.). There were so many smiles and giggles as we were all acting like silly turkeys! I hope you have fun playing and learning with your children today!